I wasn't sure whether to put this here or in the classifieds section, since it technically is an advertisement. 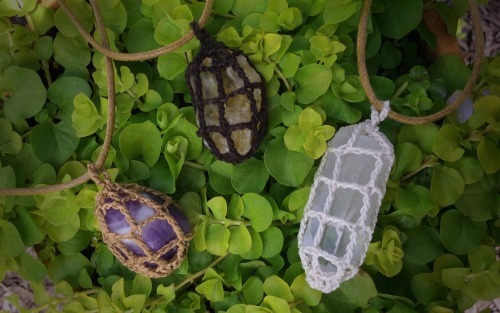 I recently started an etsy shop (here) for my crocheted pendants. I'd really appreciate it if you checked it out! Thanks! I'd be super excited if you did!